Home Entertainment Justin Timberlake hooked up with a Spice Girl. But which one? Justin Timberlake hooked up with a Spice Girl. But which one? Justin Timberlake has confessed that he once got down and dirty with one of the Spice Girls. But the tight-lipped teaser has refused to name and shame. On an episode of “Ellen,” Timberlake and the rest of the NSYNC boys were playing a game of “Never Have I Ever” when the shocking revelation came out. “Never have I ever hooked up with a Spice Girl,” said host Ellen DeGeneres before the stunned audience watched Timberlake, 37, go sheepishly quiet. Bandmates Lance Bass, JC Chasez, Joey Fatone and Chris Kirkpatrick lifted up their “I Have Never” paddles — but nothing from speechless Timberlake, who wouldn’t look anyone in the eye. Timberlake, who is married to Jessica Biel, eventually turned his paddle around to show the words “I Have,” but refused to admit which one he hooked up with. 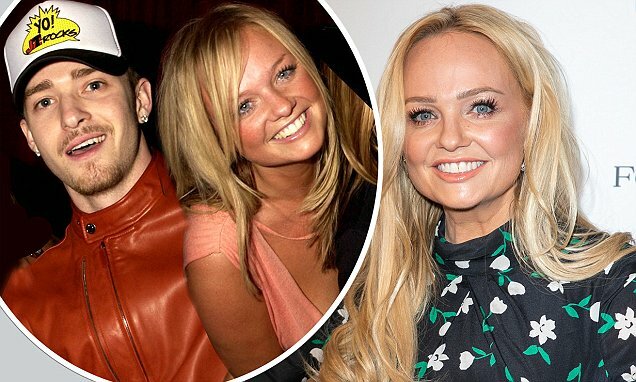 The internet has been awash with guesses about which Spice Girl it was, but Emma Bunton said in a previous interview with Grazia in 2016 “No comment” after she was quizzed about the old rumors that she had had a fling with Trousersnake. During the cheeky game on “Ellen,” DeGeneres also got the boys to confess whether they’d hooked up with someone twice their age and if they had ever smooched someone to one of their own songs — which they hadn’t. On Monday, NSYNC reunited to receive their star on the Hollywood Walk of Fame. He admitted he thought that if he came out as gay, it would destroy the band’s success. The latest and breaking world news, analysis, opinion, video and photos. © Web Top News, powered by Hometown Agency.